In early December, Tyler Thomas, Winemaker at Dierberg and Star Lane Vineyards, sat in a restaurant overlooking the East River of Manhattan and held up a glass of ruby-red Star Lane Vineyard Cabernet Sauvignon wine. He gently swirled it, then tasted it, and took a long pause. Thomas examined the wine, a 2014 vintage that retails for $50. “The signature of great fruit is great length,” he says. “You should still taste it thirty seconds after drinking it.” The profile of a great wine, he adds, is that it has varietal correctness (if it is a single varietal), respect for the identity of the area it is from, complexity and an intellectual compelling nature. “It should also have a hedonistic, pure pleasure when you are drinking it quality,” he explains. 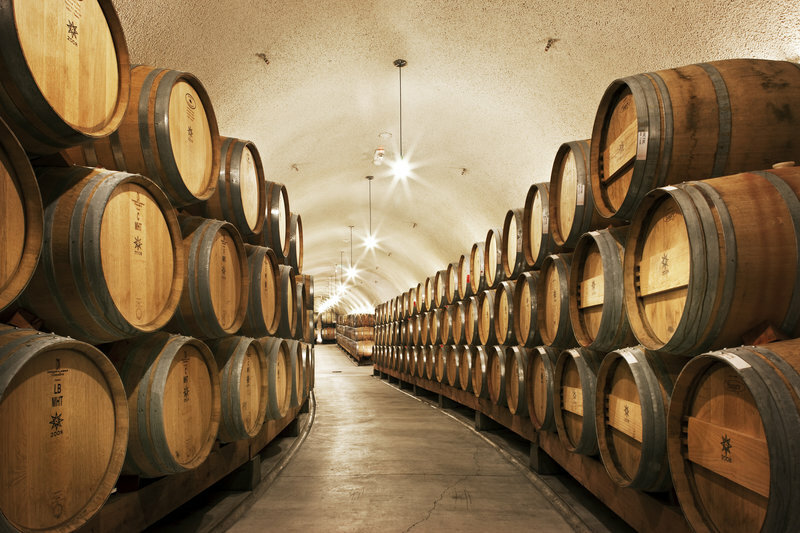 The Star Lane Cabernet exceeds these lofty goals as do the other award-winning wines which include chardonnay, sauvignon blanc, pinot noir and merlot varietals, made by Thomas at Dierberg and Star Lane Vineyards, sister vineyards in Santa Barbara, Ca. But unlike most other wineries, this company isn’t solely fixated on the here and now. Rather, the entire leadership behind Dierberg and Star Lane Vineyards, including its owners, the Dierberg family, is focused on a strategic plan that looks ahead 250 years into the future. 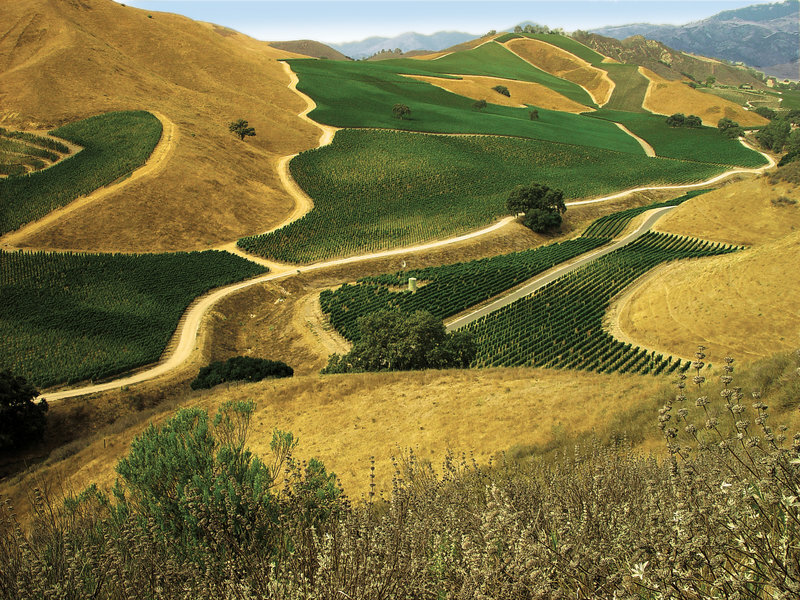 Take, for example, the Star Lane estate in Happy Canyon, which encompasses 200 acres of Bordelaise varietal vines. Here, the land is farmed with meticulous care. The same techniques are employed at the Dierberg Vineyard, which is a 160-acre site in the Santa Maria Valley and 70-acre Drum Canyon Vineyard in the Sta. 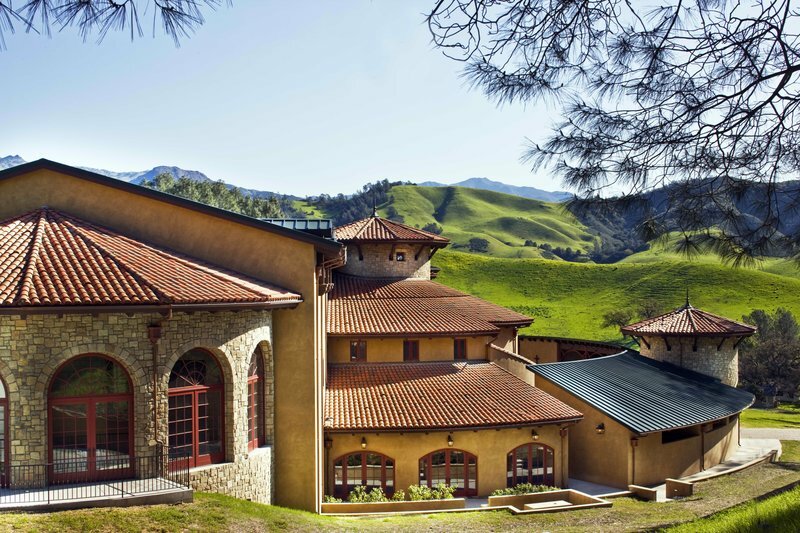 Rita Hills, where Chardonnay and Pinot Noir grapes are grown under the family-owned Dierberg Vineyards label. In addition a common philosophy, the Dierbergs and Thomas also share Midwestern roots as they hail from St. Louis, Missouri, the city best known for its Anheuser-Busch beer. There, Dierberg, a banker by trade, and his wife, Mary, developed a passion for restoring historic buildings. Their foray in winemaking started in 1974 when they bought Hermonnhof Winery, one of the country’s oldest wineries—dating back to 1852. The Dierberg’s passion for winemaking grew and for over a decade they searched for the perfect place to expand their operation and make wines from classical varietals. The lengthy search took them to Napa Valley and as far away as Bordeaux until in 1996, they finally found the land they had long hoped for in Santa Barbara County. Thomas left St. Louis for Colorado State University to study botany. After graduating with a B.S. and M.S. degrees, Thomas and his wife traveled around the world. It was on this trip that he found his calling as a winemaker. Thomas returned to the U.S. where he earned a master’s degree in Viticulture and Enocology from the world-renowned program at U.C. Davis. He gained valuable experience working for such winemakers as Hyde de Villaine, Donelan Family Wines and Fiddlehead Cellars. During an interview with Jim Dierberg for the winemaking position, Thomas asked about the goals of the company and the owner’s 30-year plan for the winery. Dierberg responded that he didn’t have a 30 year plan. “Rather, Jim said he had a 250-year plan,” recalls Thomas. To accomplish this, Dierberg and Star Lane need to have a specific identity that ties to their location. “They need to have a sense of place,” says Thomas. But in America, where the cellar trumps the vineyard, is an idea that Thomas is trying to flip upside down. “We have to let the vineyard drive what we do in the cellar,” he explains. Not surprisingly, the winemaker understands his place in the company’s history books. 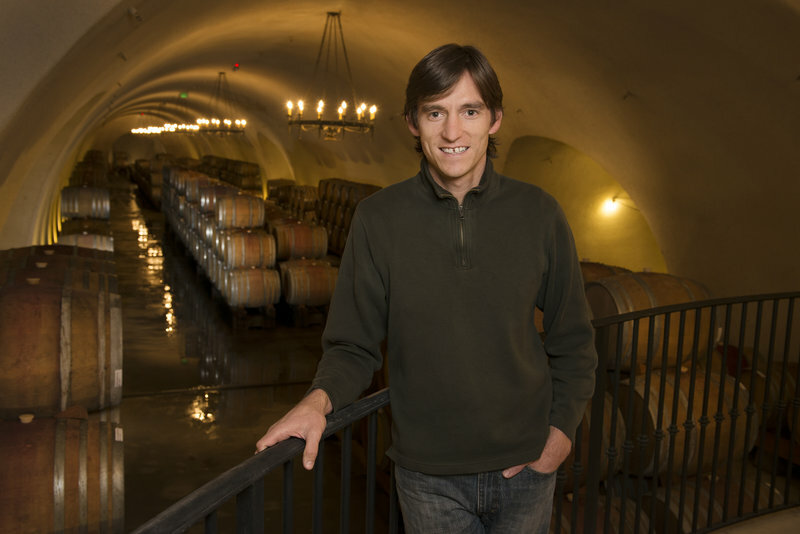 “As a person who will someday pass the baton within a company that teaches you to think beyond yourself, it is my duty to make sure that we will be making even better wines in forty years than we are making today,” he says. Thomas is constantly making tweaks and adjustments that should enable the company to continue to improve its quality. “Hopefully, over the long-term, we will keep increasing the high quality we are producing and it will keep getting better,” he says. Dierberg Vineyard produces Chardonnay ($32), Pinot Noir ($44) and Syrah ($65) while Drum Canyon Vineyard produces Chardonnay ($45) and Pinot Noir ($52). Star Lane Vineyard in Happy Canyon produces Syrah ($40) in addition to 100% estate grown Sauvignon Blanc ($22), Rose of Malbec and Viognier ($22), Merlot ($40) Cabernet Franc ($55) and Cabernet Sauvignon ($50). The company’s Astral Cabernet Sauvignon, which is made its own-rooted, non-grafted vines, retails for $120. Dierberg and Star Lane wines are distributed nationally in more than 40 states. The wines are also available for purchase directly from the tasting room in the Sta. Rita Hills of Santa Barbara and its Dierberg Vineyard Starlane Vineyard websites.